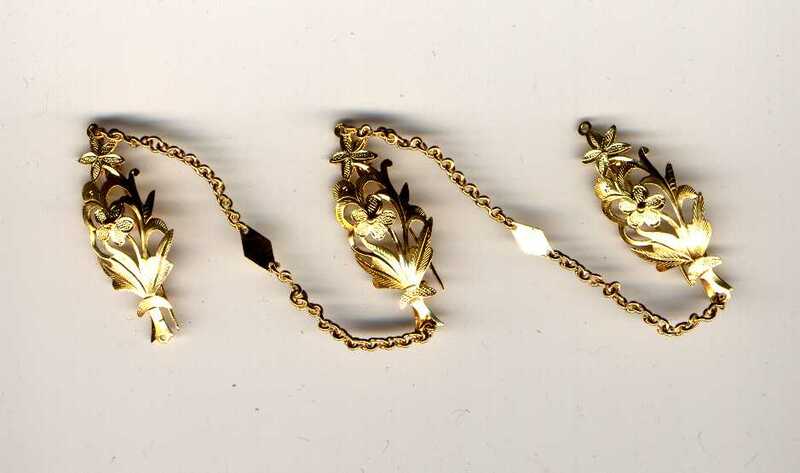 An old three piece leaf kerosang attached with chain. Nice three piece chained kerosang! A three piece chained kerosang with inlaid intans!